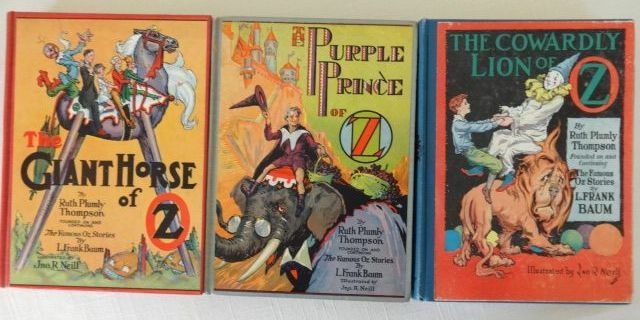 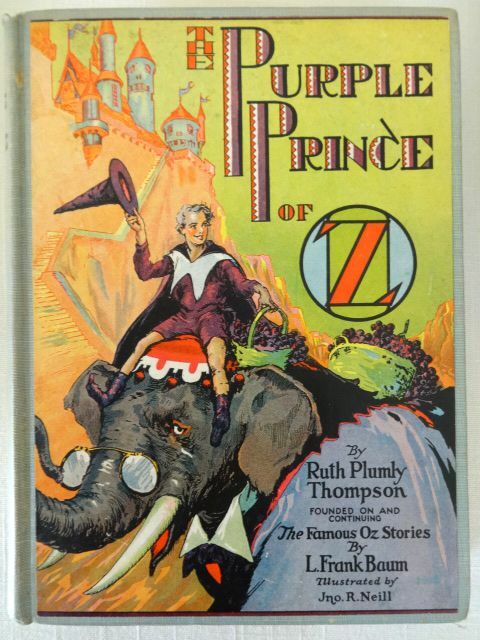 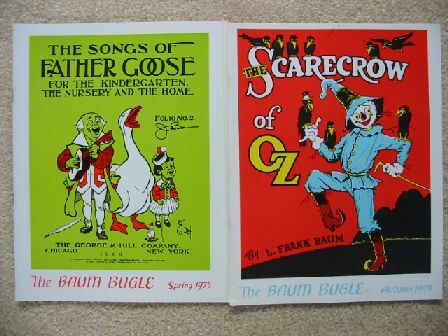 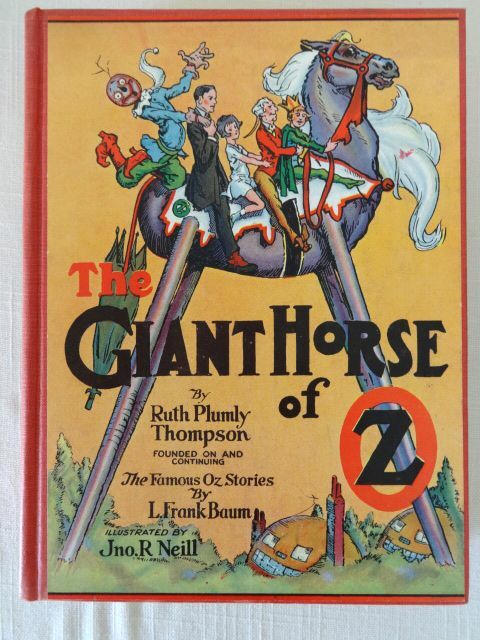 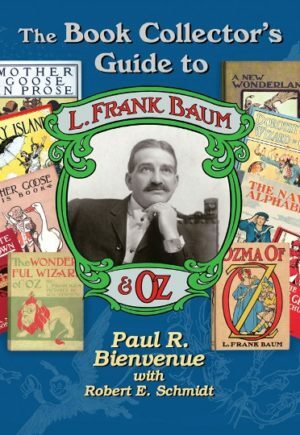 Here’s a set of 3 Wizard of Oz books by Ruth Plumly Thompson, who took over the series when L Frank Baum died. 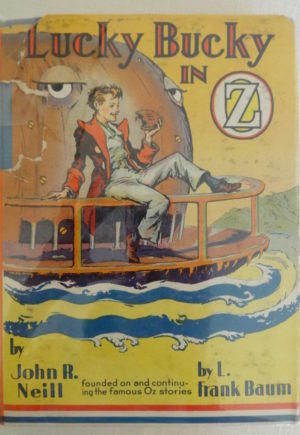 These are all post-1935 books with black and white illustrations by John R Neill. 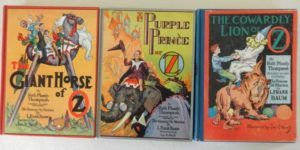 They all have the color pastedown label and are in very good condition (see details below). 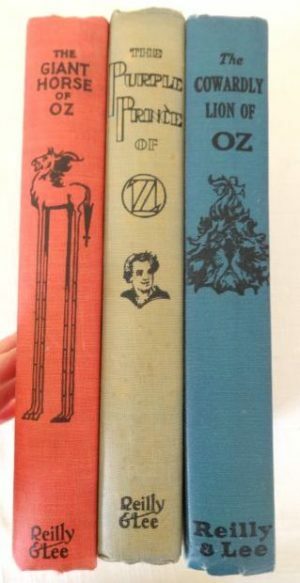 Giant Horse of Oz: Pastedown on front cover perfect, rear cover with light staining at bottom, hinges and binding near fine, pages near fine with name and 1943 on Book Belongs To page. 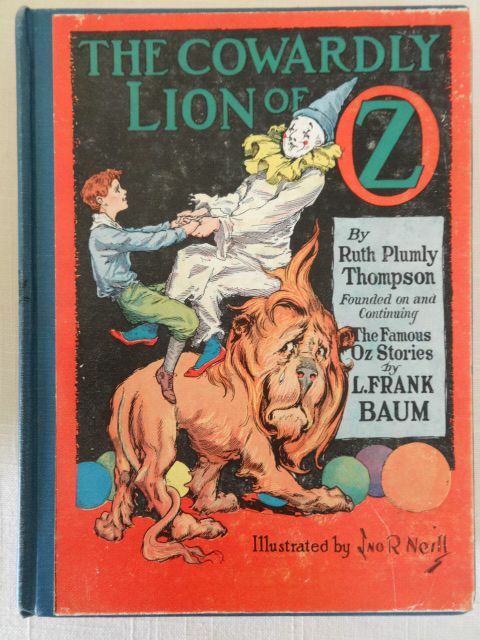 Cowardly Lion of Oz: Pastedown lightly rubbed, light crease on spine, corners lightly bumped, hinges tight, interior very good plus with one small stain on first 30 pages. 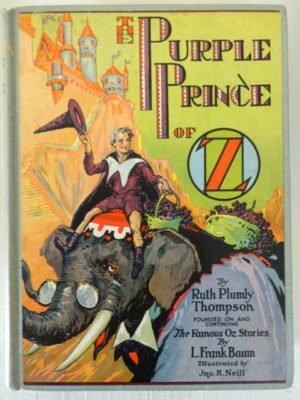 Purple Prince: Pastedown excellent, corners frayed, spine slightly faded, hinges tight, pages very good, name on Book Belongs To page.